Ridemakerz and Scion have joined forces on a program that lets you create your very own Scion "Ride" without the hassle of credit checks and car insurance. 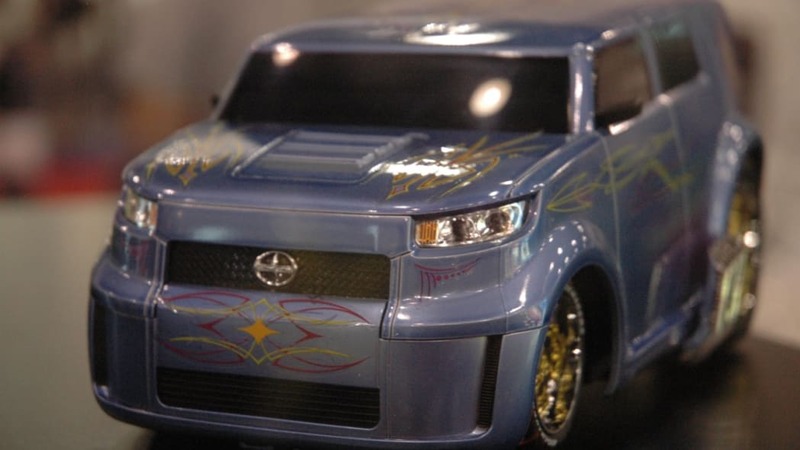 Seven customization steps allow 649 million unique tuning possibilities for your toy car, and when you're all finished, you get a 12-inch-long Scion xB in fiberglass-over-foam. It comes with custom plates of your choosing and a Certificate of Title that has a RIN -- Ride Identification Number. And if you want to go all out, you can even add radio control. Check out the 7:8 full-scale (or so) 5Axis model from Troy Sumitomo that the company had on display. Follow the jump for the press release, and be sure to check out the gallery of hi-res pics. 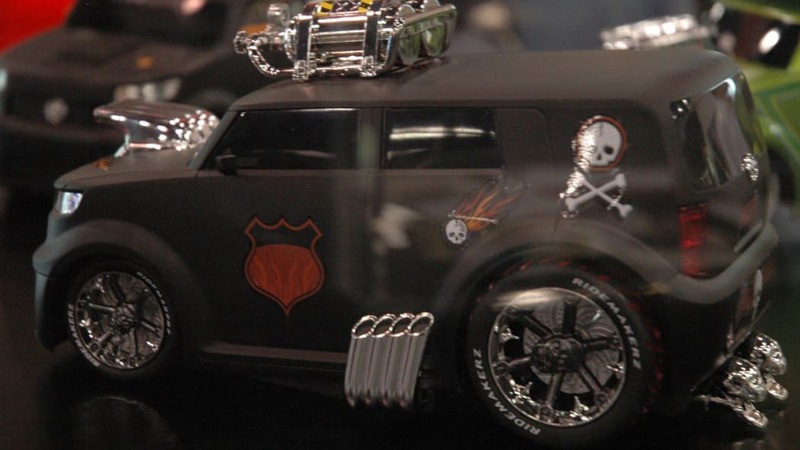 October 31, 2007 - Las Vegas - Scion today announced its partnership with RIDEMAKERZ™, an innovative new toy car customization retailer inspired by Build-A-Bear Workshop®. 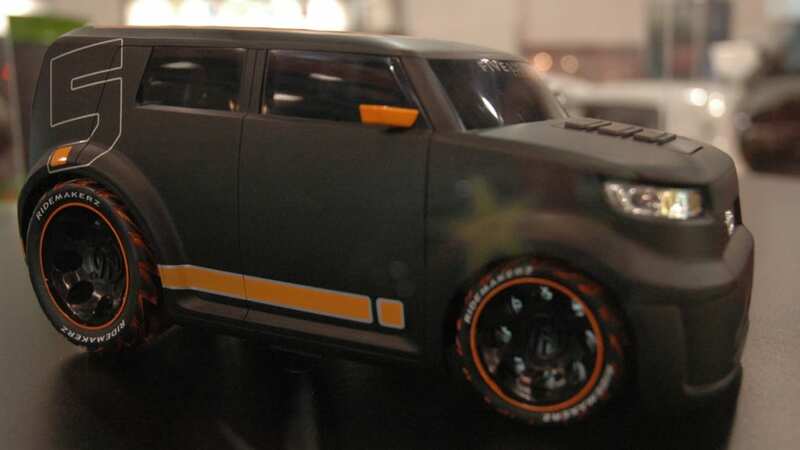 The Scion RIDE, based on the new xB urban utility vehicle and the latest model in the RIDEMAKERZ lineup, was unveiled at the 2007 Specialty Equipment Market Association (SEMA) Show, the premier automotive specialty products trade event in the world. The partnership and product will please tuners, kids and parents alike. 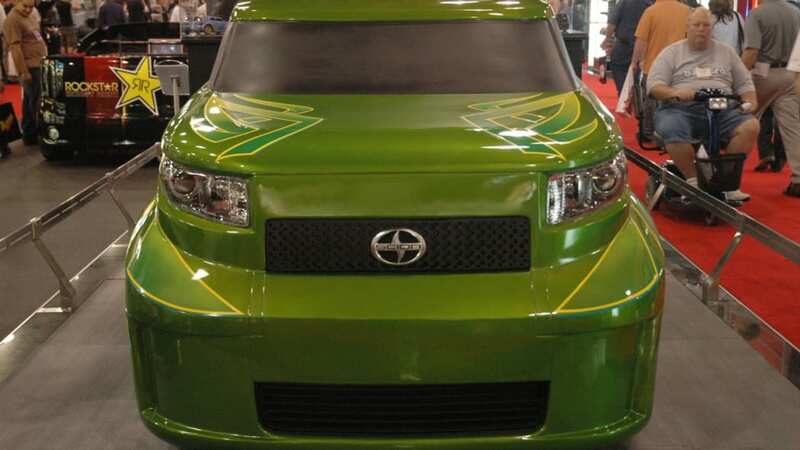 "Scion is iconic for the ways in which our customers make customization happen, and we and RIDEMAKERZ both look at cars as canvases for self-expression. We now have the opportunity to take this experience to kids, as well," said Lisa Materazzo, Scion national marketing and communications manager. 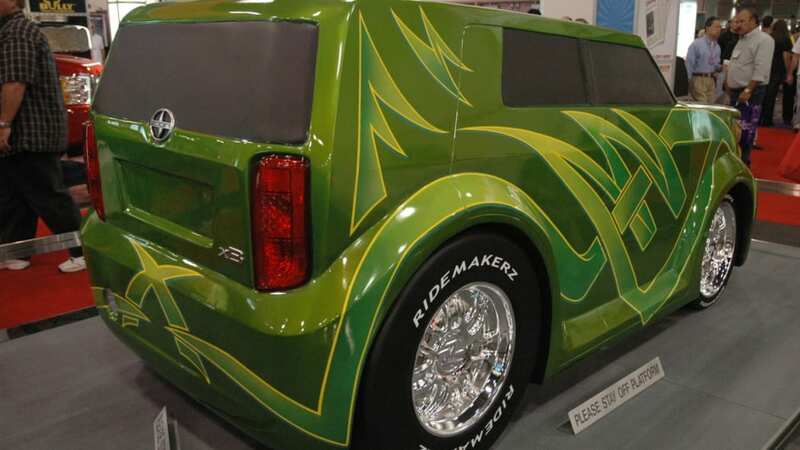 "SEMA represents the customization and originality that is possible within the automobile industry and Scion feels it is the perfect showground to celebrate our new venture with RIDEMAKERZ." The two brands are complementary in their approach, with the "driver" in charge of uniquely customizing their "ride." 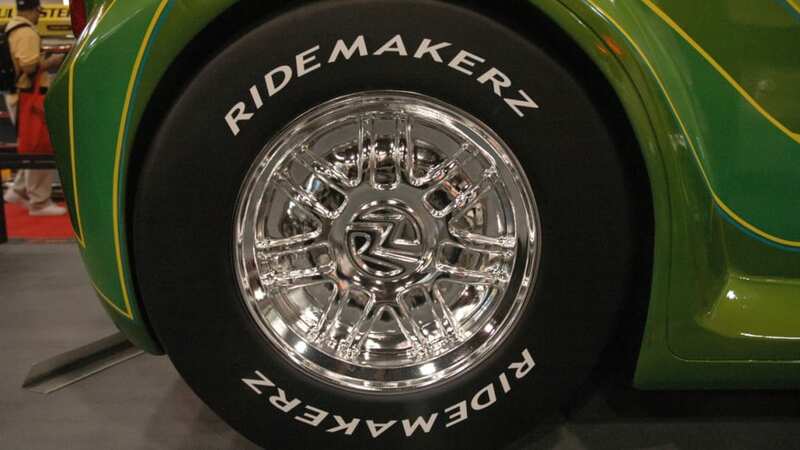 RIDEMAKERZ invites guests, or "Customizers™," into the ultimate car-customizing shop where they travel through seven zones to create a one-of-a-kind RIDE. 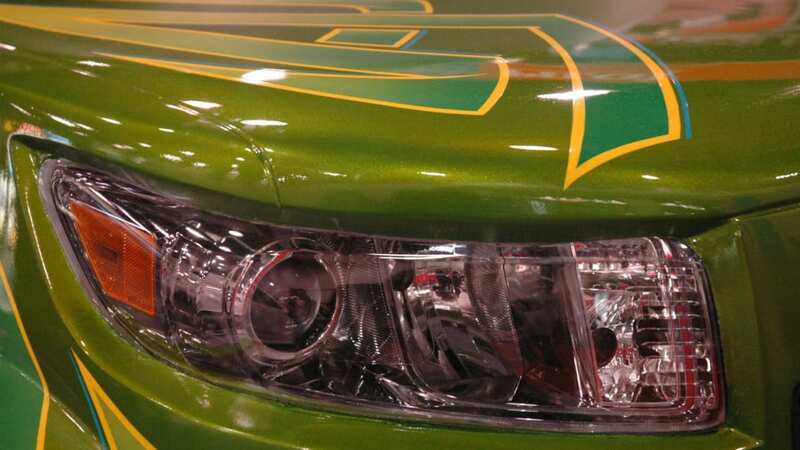 The zones, entitled CHOOZE, SONICIZE, MOTORIZE, MOBILIZE, CUSTOMIZE, PERSONALIZE and CRUIZE™, are used to select body style, paint job, sounds, engines, accessories, and decals. Between them all, RIDEMAKERZ estimates there are more than 649 million possible combinations, not including individual decal placement. "We're thrilled to partner with Scion to help bring the car-customizing movement to the next generation," said Larry Andreini, ZEO (CEO) and founder of RIDEMAKERZ. 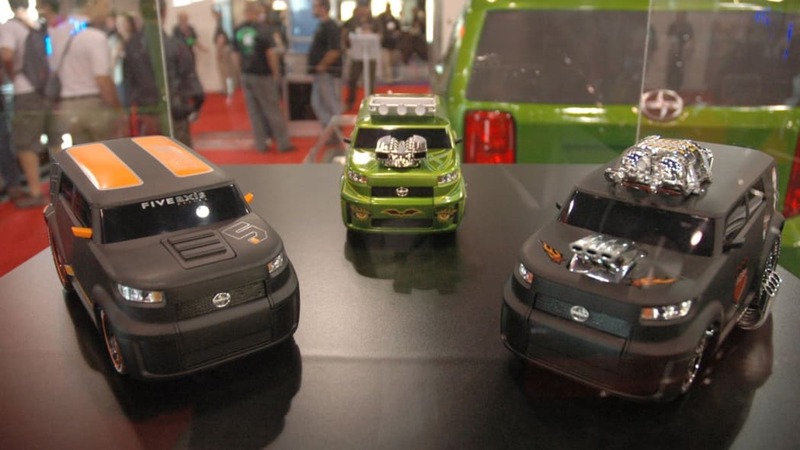 "The process of building a kid-sized Scion and then personalizing it is pure fun. It sparks creativity and 'engineuity' and lets kids, in particular, create their own cool, customized version of an extremely popular real life car. There's truly no experience like it." The Scion RIDE is available in Cannonball Black, Comet Blue and Wasabi Green and measures approximately 12 inches long. 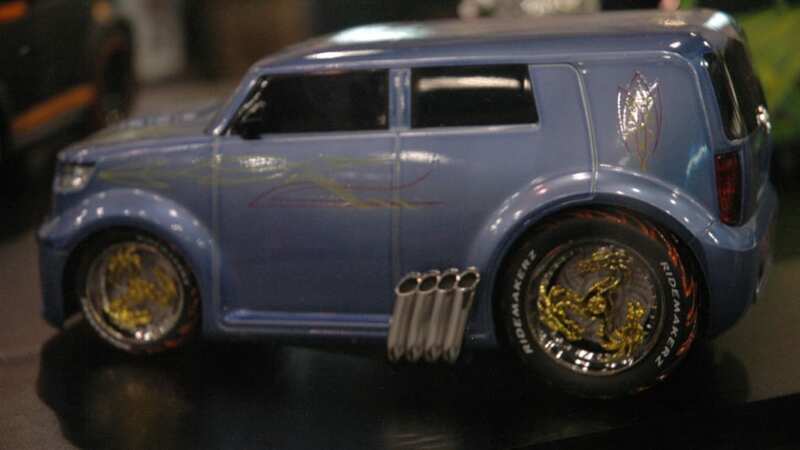 Once the approximately 1:18 scale xB models are tricked out, Customizers create a personalized license plate and receive their own Certificate of Title, which includes a unique RIDE Identification Number (RIN). This number can be used to view and interact with their RIDE online at RIDEMAKERZ.COM. 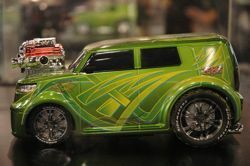 The pint-sized xB ranges in price from $22 for the Cannonball Black and Comet Blue versions to $25 for the Wasabi Green. Custom accessories range in price from $2.50 for grille guards and hood scoops to $15 for a deluxe "Muscle Kit" that includes a blown engine, spoiler, side pipes, muffler tips and roof vents. Radio-control can be added for $25. 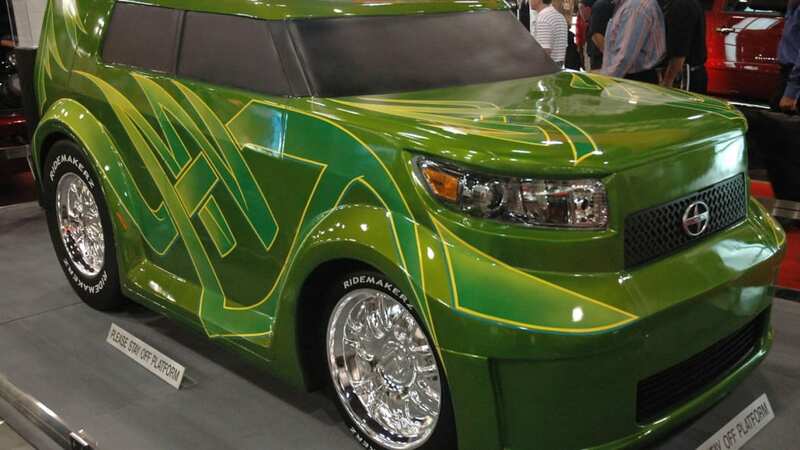 SEMA attendees will be able to view a large-scale model of the Scion xB special edition RIDE in the Scion booth located in the Central Hall, at the Las Vegas Convention Center, as well as enter a raffle for a chance to win a special edition RIDEMAKERZ xB designed and signed by Troy Sumitomo, from Five Axis, a renowned customization and fabrication shop in Huntington Beach, Calif. Similar to his "one off," life size creations, these one-of-a-kind mini models are a work of art. 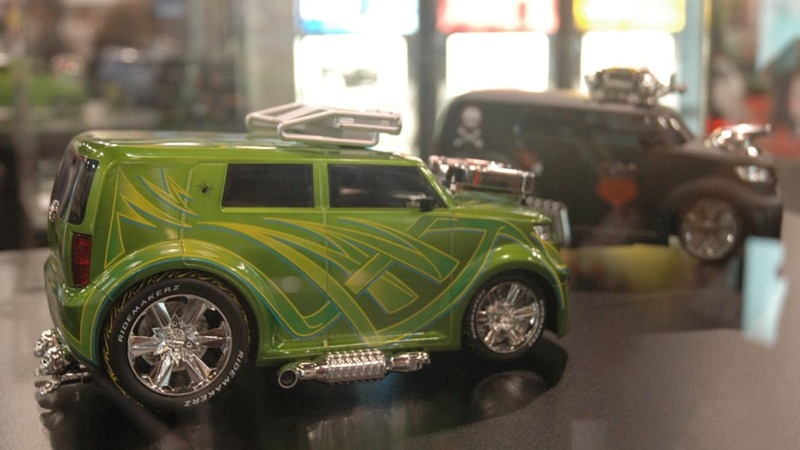 Kids of all ages can build the new Scion RIDE on RIDEMAKERZ.COM (with a Z) and at Shops located at Broadway at the Beach in Myrtle Beach, S.C. and the Mall of America in Bloomington, Minn. In November, RIDEMAKERZ will open two additional Shops at the Spotsylvania Towne Center in Fredericksburg, Va. and at Castleton Square Mall in Indianapolis, Ind. The RIDEMAKERZ experience is specifically designed to provide choice, unleash creativity, foster confidence, encourage cooperation, and instill a sense of community, which also are hallmarks of the Scion brand. Scion and RIDEMAKERZ appeal to the young, and young at heart, tapping into the innate desire to build and create, generating not only pride in affiliation, but also pride and ownership of one's own creation.